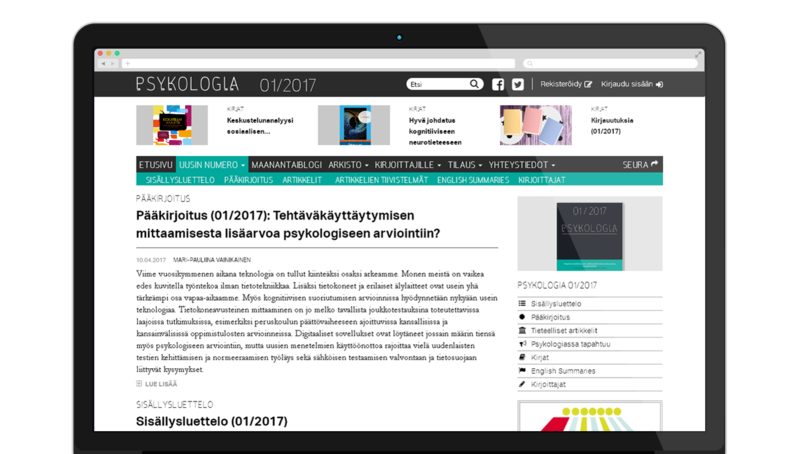 After working for the Finnish Psychological Society’s journal since 2009, in 2015 we re-designed and re-launched their new website. 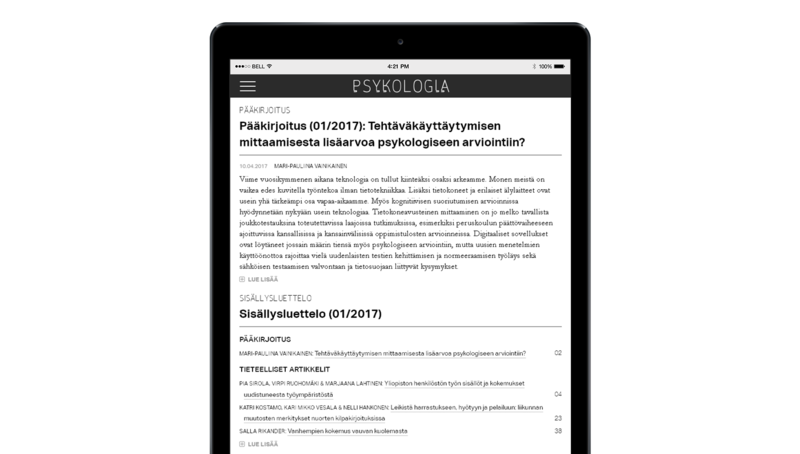 This project wasn’t just about a simple re-design; the society was looking for an affordable solution to integrate the content of the journal on their site with a subscription and content restriction system. 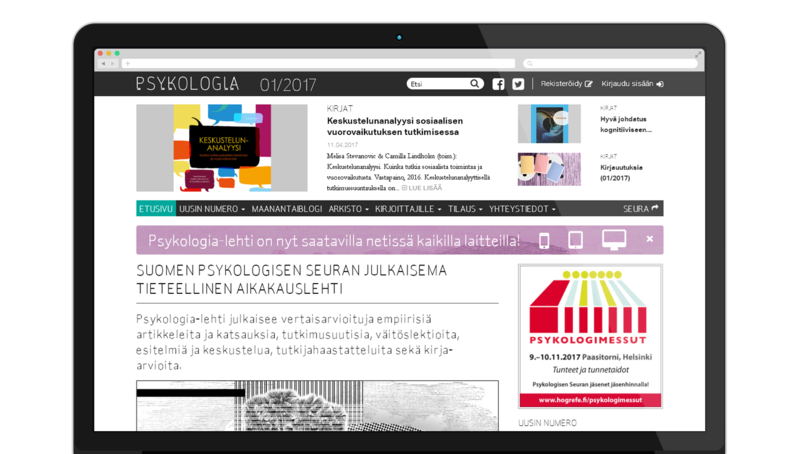 Although the site is also bound to inform about the society in general, we conceived the whole site as an online magazine with the contents of the journal put at the forefront. Visual elements of the latest issue published are made visible from the site’s logo with the issue’s number, to a selection of the latest articles on display above the main menu. And the color of the current issue appears on the main menu and a few other elements of the site. 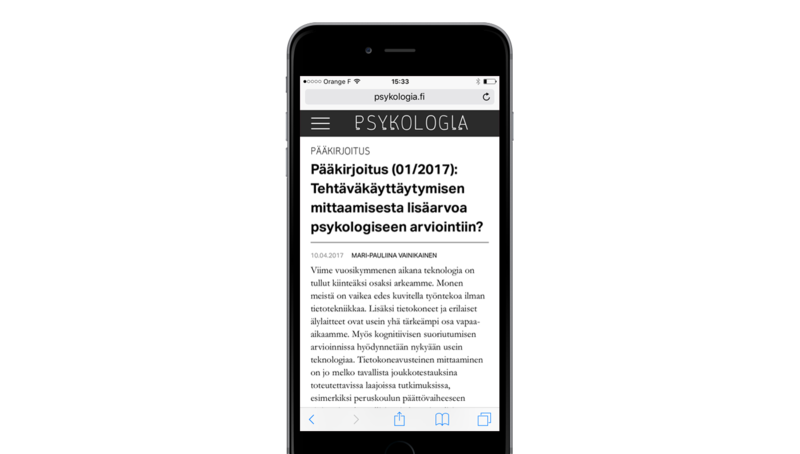 All users have access to the site as it is but only registered subscribers have access to the full version of the articles. 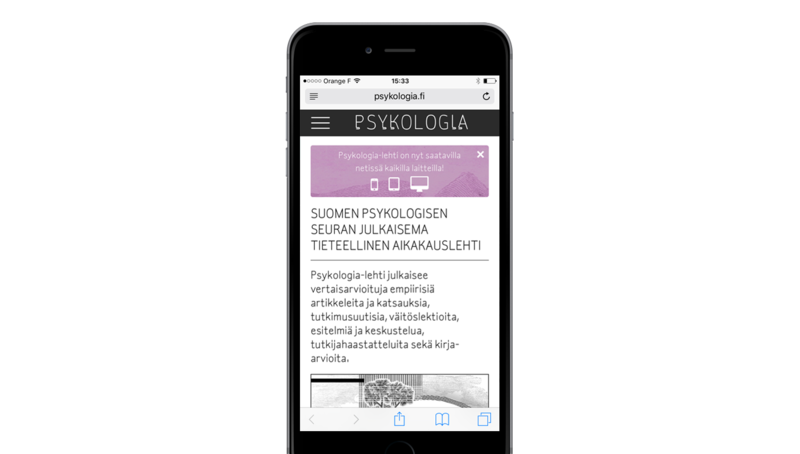 We took great care to design content templates that could meet all the demands of scientific literature while being flexible for any device.